Everyone loves a sweet treat! 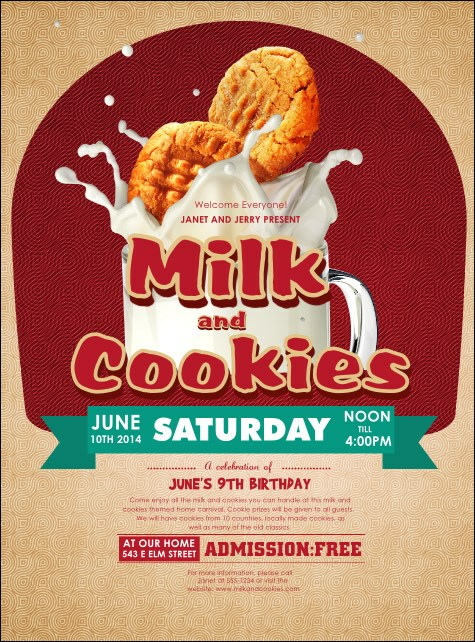 Find guests for your delicious gathering and distribute the Milk & Cookies Flyer in advance. A picture of peanut butter cookies dunked in milk is the centerpiece of this design, with red text on a pink background. Pair with tickets and invitations in a Matching Event Kit for cohesive promotions.